Office Supplies Talk: Save on Holiday Decorating and Gift Wrapping Essentials! Save on Holiday Decorating and Gift Wrapping Essentials! With Black Friday and Cyber Monday out of the way, a new phase of the holiday season begins- decorations! It's time to put up and dress the tree, string lights, and hang up the decorations. With any luck, the weekend was kind and you were able to secure some early gifts. All your seasonal décor and presents may be ready to go, but don't forget about the items you'll need to get them up, in, and looking their best. It's time to stock up on decorating and wrapping materials, and save money in the process! 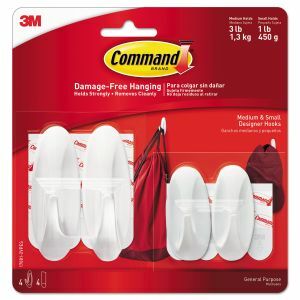 For holiday decorating, Command hooks and strips are a clean alternative to nails and pins. Hooks are sized for every project, from small hooks that hold a pound of weight to larger, general purpose products that hold up to 7 pounds. Strips can support picture frames that would normally require a screw or a nail in the wall. Adhesive strips attach to both the wall and the frame, and are easily removable from both once it's time for the frame to come down. From now through December 18, you can find a coupon on our Holiday Shop page to take $5 off a $25 order of Command products! Likewise, make sure you have everything you need to wrap presents, including wrapping paper and gift bags, scissors, and Scotch tape! Bags can be used as-is or decorated to add even more cheer. 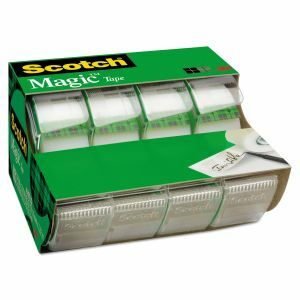 We also have a special holiday offer- a coupon for a four-pack of Scotch tape free with a $75 order. Our Holiday Shop page also has some great gift suggestions, including phone accessories, portfolios, Contigo travel mugs and more!